In part 2 of a teaching series on Buddhist Foundation Practices, Venerable Acharya Zasep Rinpoche introduces the fourth outer preliminary, the truth of suffering, in the context of boundless compassion for all sentient beings. Rinpoche transitions the teachings from the outer (covered in video 1>>) to the inner preliminaries with a teaching on Refuge and a guided meditation Shakyamuni Buddha. 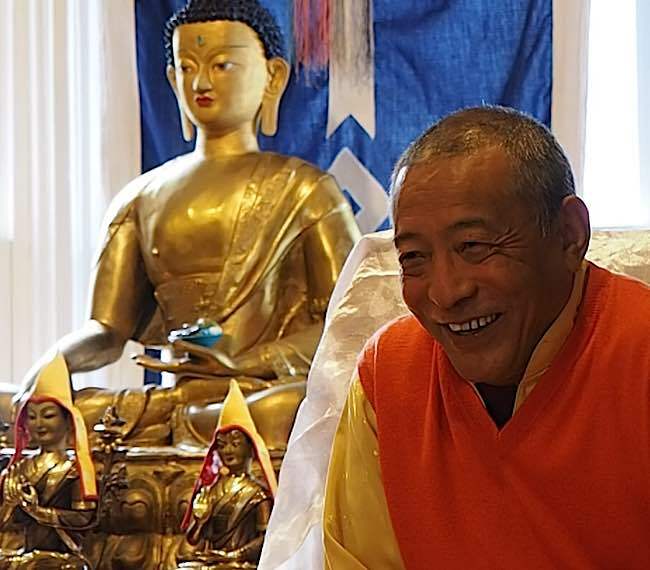 Rinpoche, spiritual head of several meditation centres in the United States, Canada, and Australia, gave these teachings at Gaden Choling in Toronto. Mindfulness: “The past is gone. The future isn’t here yet.” Keeping in the now. Karma: “Karma is not fate.” Teachings on purifying negative karma. Meditation on Buddha: a Guided Refuge Meditation Visualizing Shakyamuni Buddha. FROM A WEEKEND RETREAT ON NGONDRO KEY BUDDHIST PRACTICES FOR BUSY PEOPLE — TEACHING FROM VENERABLE ACHARYA ZASEP TULKU RINPOCHE AT GADEN CHOLING TORONTO. Teachings on the Inner Preliminary practices of refuge, cultivating bodhichitta, recitations of Vajrasattva’s purifying mantra, mandala offerings and guru yoga. Science of Meditation: Peer-reviewed studies prove there are at least 10 reasons to meditate daily, from boosting your immune system to increasing cognitive function to reduction of inflammation at the cellular level.